1. 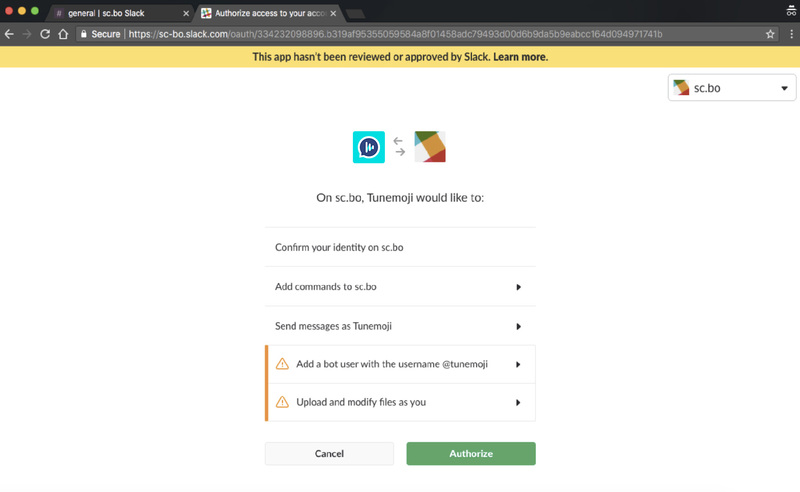 Sign into your Slack space with an admin account. 2. 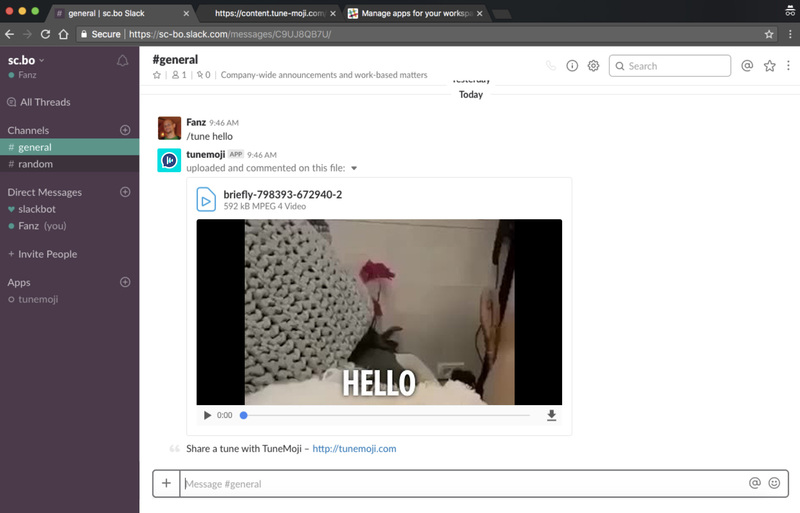 Visit https://content.tune-moji.com/slack/add and click “Add to Slack”.